Waleykumussalam sister. Mashallah you seem to have a lot of experience in teaching. 17years as TA Mashallah. I used to run weekend Islamic club from home prior to joining raising explorers. I used to teach 5kids 10am-1pm on Saturdays and Sundays. The thing is you need to have a lot of space for running your own madrassah from home. Even on smaller scale, even with 5kids I was struggling for a space at times. Plus it is not financially viable. You spend so many hours planning and invest in materials but because it is not an institutionally run what you charge can barely cover the costs. Still alhamdulila I very much enjoyed running my mini homeschool. For me it was more to get an opportunity for my girls to mix and socialize within their peer group. If you think you have got the space and the goal is not to make profit then I would say bismillah go ahead. Surely there comes lots of other benefits as I have experienced myself. Just be careful with who you teach. I accepted kids after initial assessment of their behaviour and mainly through reference. I only wanted to teach the kids whose parents are seriously interested in their education and made the effort. Amin ajmain. You are so sweet sister. Jzk and wa iyyakum. Masha Allah, your children are indeed wonderful! I wish you a safe journey to Makkah and pray that your Hajj will be accepted. I have a question though, I read your about page and thought that you are a stay-at-home mom, but it seems like you are back working – is it full time? Wassalam. Amin to your duas. 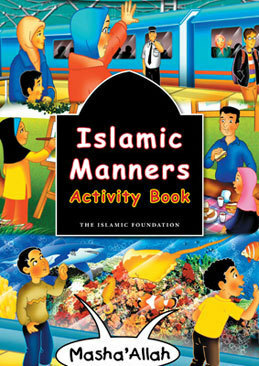 I have been working at after school club teaching kids Islamic subjects hence can drag my kids into work. It’s 3 hours a day after school hours which is late afternoon in the uk so works out perfect as our morning routine does not get disturbed.